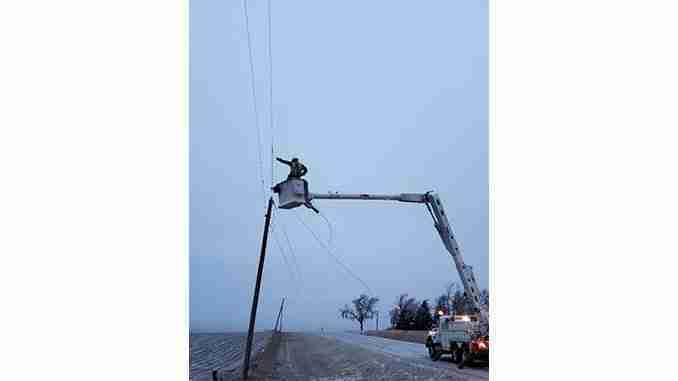 Greene, Iowa – Destructive winds and icing have led to several power outages in the listening area. More than 1,000 residents affected. Officials from Alliant Energy say they are aware of the problem and are working to get power restored by tonight. Residents near Greene, Nora Springs and Rudd could have potential outages. Wind gusts of 50-60 miles-per-hour combined with one to two inches of ice have caused downed power lines. Alliant Energy has called in extra crews from around the state to assist with restoring power, but current weather conditions are making it difficult for crews. Outages began after 8 this morning according to Alliant’s website. Should you have any damage, call Lezlie Weber, the Floyd County Emergency Manager at 257-6144 to report it.